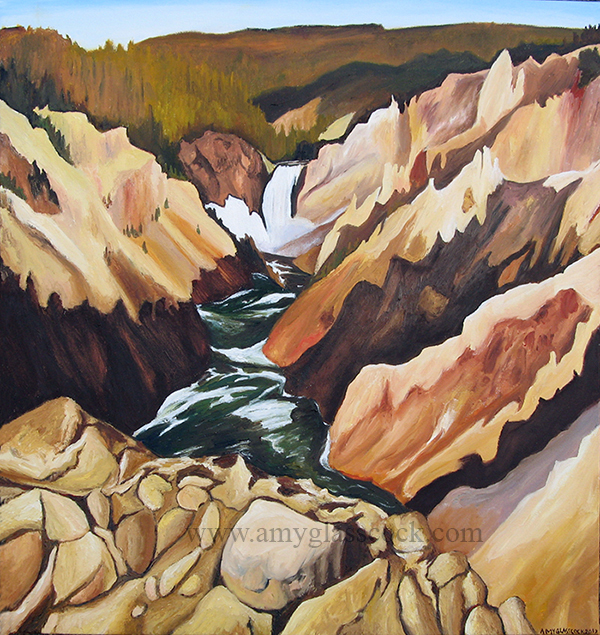 The cliffs in the canyons at Yellowstone National Park have the most beautiful warm colors which inspired me to paint this. As the time of day changes so do the colors. 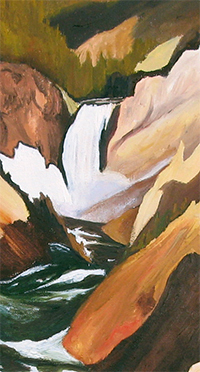 And as the sun sinks behind the mountains and trees very dramatic pointy shadows sweep across the canyon. It's a beautiful site to see. I am glad that God let me see it.